BELGIUM: GUNMAN DRIVES VEHICLE PACKED WITH EXPLOSIVES INTO BELGIAN BARRACKS…….. – The Tundra Tabloids……. BELGIUM: GUNMAN DRIVES VEHICLE PACKED WITH EXPLOSIVES INTO BELGIAN BARRACKS…….. The situation is still fluid. 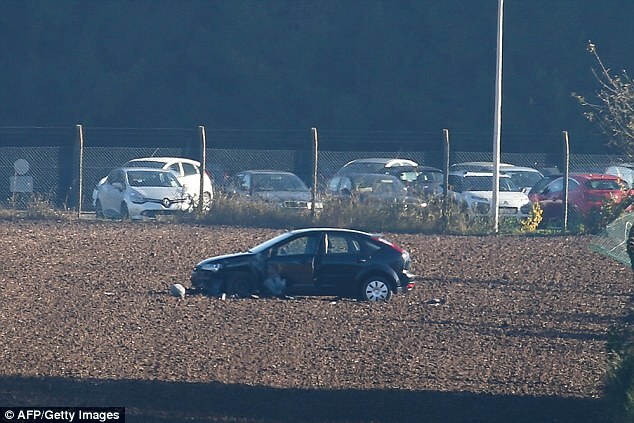 A masked gunman today drove a vehicle packed with explosives into a military base in Belgium. The attack happened soon after dawn in the village of Flawinne, a village east of Charleroi, where a commando unit is stationed. Shots were fired after the car was driven through a perimeter fence towards the barracks, said a judicial source from nearby Namur. Belgium defence minister Tony Langone said ‘bomb disposal experts’ were en route, as the abandoned car was thought to be packed with explosives. He said nobody was hurt in the initial incident, but the man was ‘armed and dangerous’ and needed to be caught. Previous Post Previous Post ISLAMIC JEW HATRED 101: MOROCCANS “EXECUTE” FAKE JEWS (ABE LINCOLN LOOK-ALIKES)……..
Next Post Next Post SWEDEN: REFUGEES REFUSE ACCOMMODATIONS AT HOLIDAY PARK, CLAIM TREES CROWDING THEM IN……..